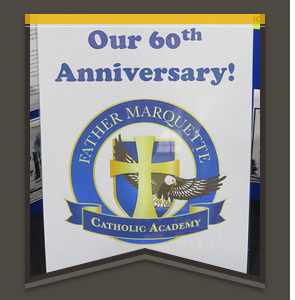 Father Marquette Catholic Academy has access to Marquette Area Public School buses. Our elementary students ride the middle school buses, and our middle school students ride the high school buses. The buses run according to the public school calendar schedule. As such, there may be certain days when FMCA is in session but when no busing or after-school busing is available. 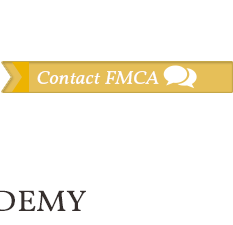 Please be sure to check the FMCA calendar and newsletter for these dates. If your child needs to ride a different bus on certain occasions, we must receive a written note from you (parent/guardian) letting us know. After we receive the note, we will issue a bus pass for the child. For the safety of your child and all FMCA students, we must adhere to Marquette Area Public Schools Bus Conduct. A copy of the regulation guide is available in the school office and on the Marquette Area Public Schools website. For your convenience, we are happy to provide our bus schedule below. Busing arrangements should be made through MAPS transportation. Parents should call MAPS transportation to ensure accurate information and that the student's data is in their system.